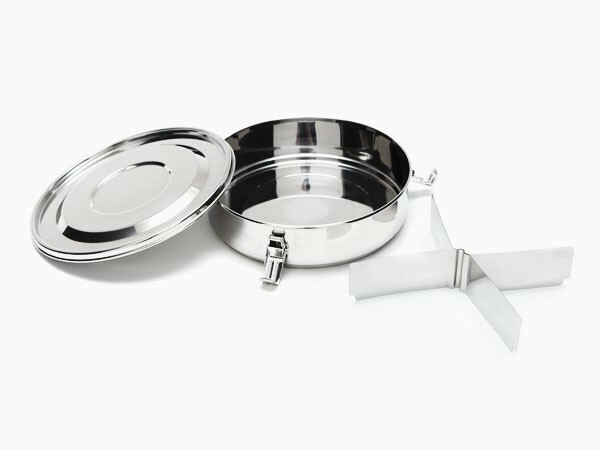 These eco-friendly round airtight lunchbox food storage containers are amazing! Available in 10 different sizes. The smallest container is great for baby food, toddler snacks or whatever else you can think of. Once you try these, you won't want anything else. 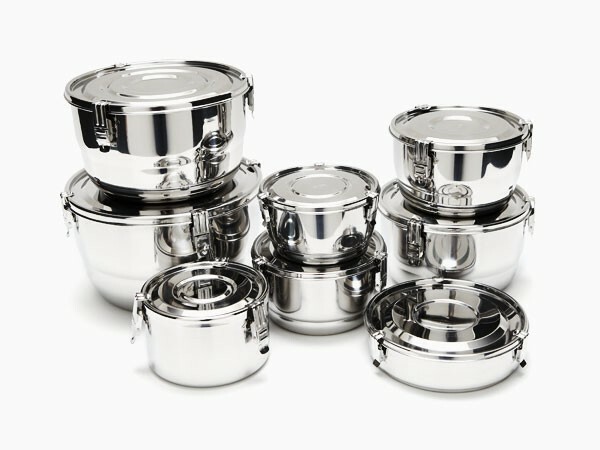 They are made from #316 (18/10) food grade Onyx Stainless Steel, (This is the best you get!) and the lid has a silicone seal. The containers are completely air tight. You can also write on the container with a non-permanent marker. This helps to specify the contents, date and owner. 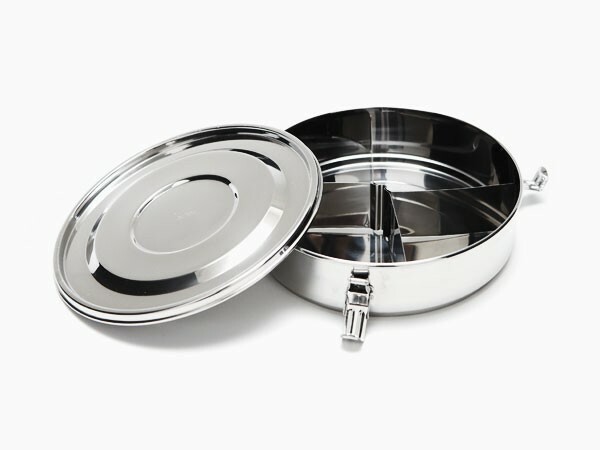 The bottom part of the container can be washed in the dishwasher, but the lid is not dishwasher or oven safe. This version has removable dividers. Great for adult or children's lunches. Made in Korea. This is a versatile and leak proof lunchbox with dividers. I got the condiment containers with this to put salad dressing and am super impressed with the quality. Air tight. I don't have to worry that anything will spill or leak on the car seat when I'm out and about. Ingenious design for packing lunches in a "civilized fashion", nice design, looking forward to taking along many tasty lunches. This pan looks beautifully made. I bought it to decarboxylate herbs and control the smell. I am sure it will work just fine. It just fits in my toaster oven and will work fine. I know the instructions say "do not use in oven", but I am only going to 250°F so I expect no problems. This is an amazing lunch box. Very convenient like a plate, almost leak proof so that I can bring liquidy stuff. Very satisfied with it.